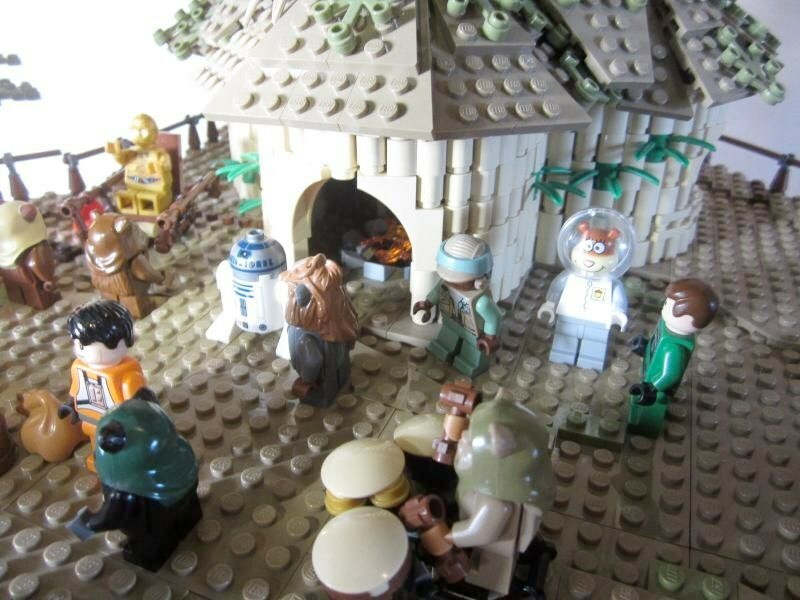 Vauban's depiction of the Ewok celebration at the end of Return of the Jedi is almost impressive enough to make you forgive Lucas for spoiling the original trilogy with it. 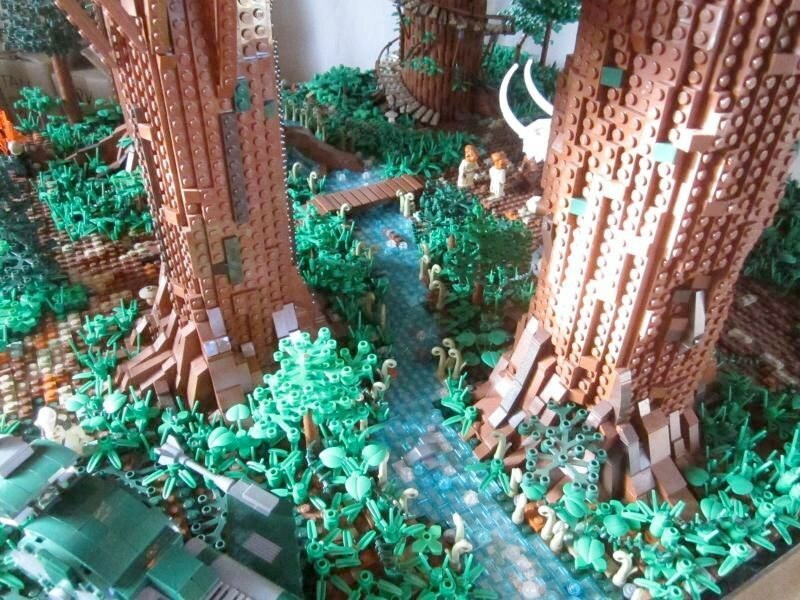 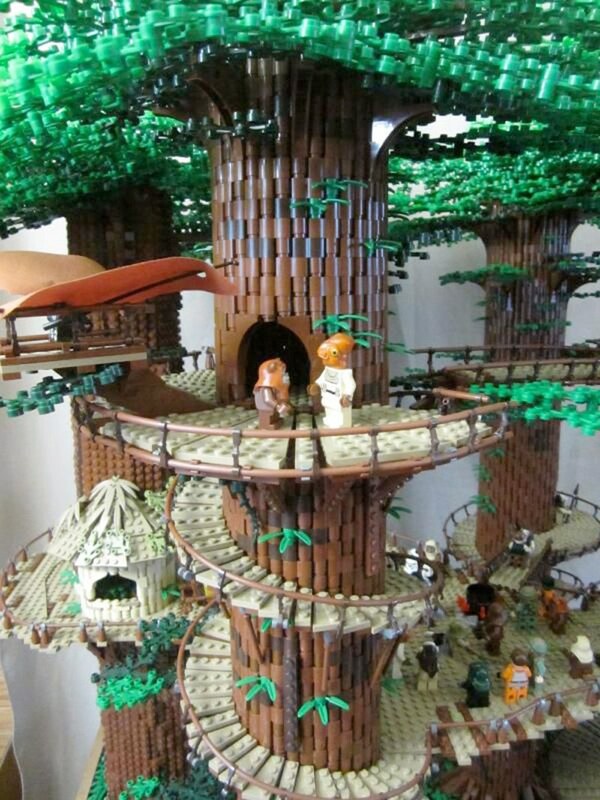 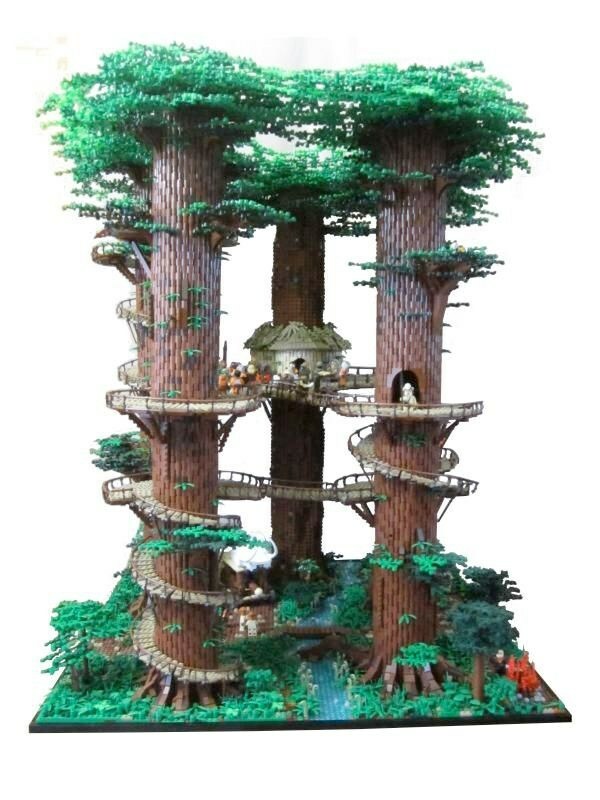 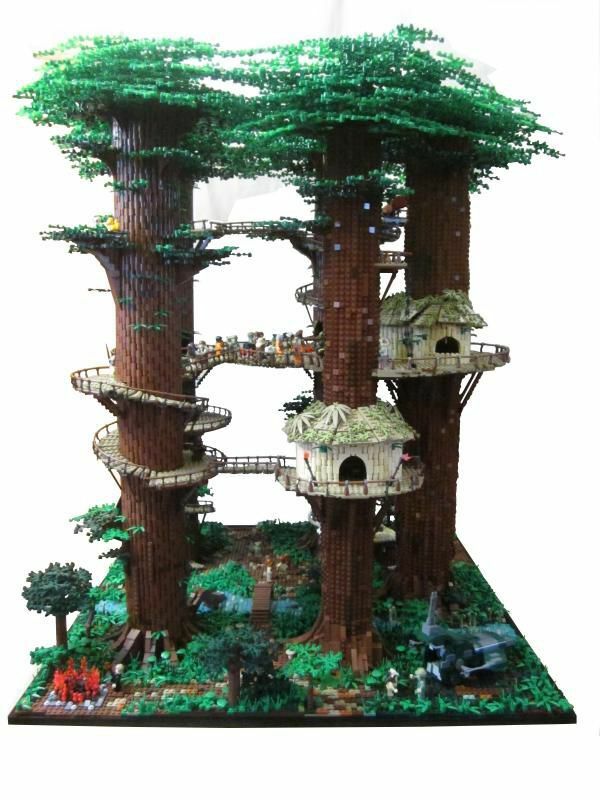 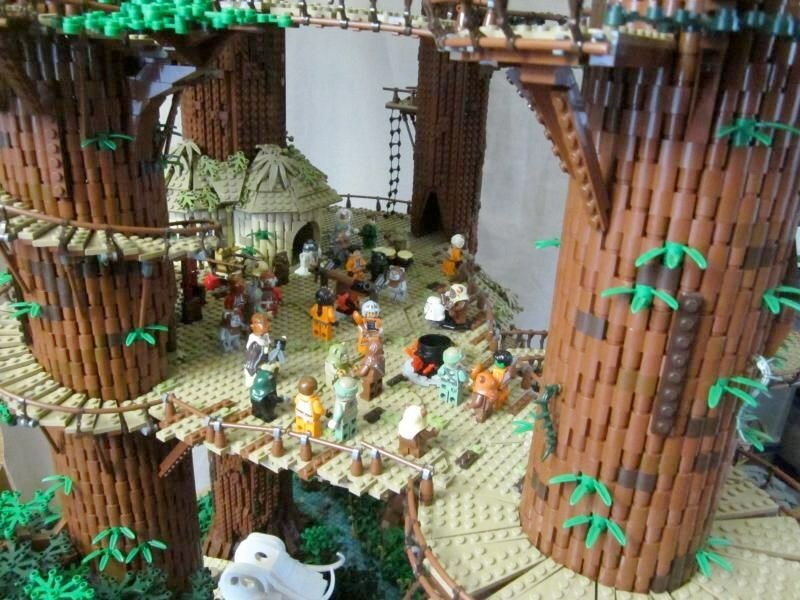 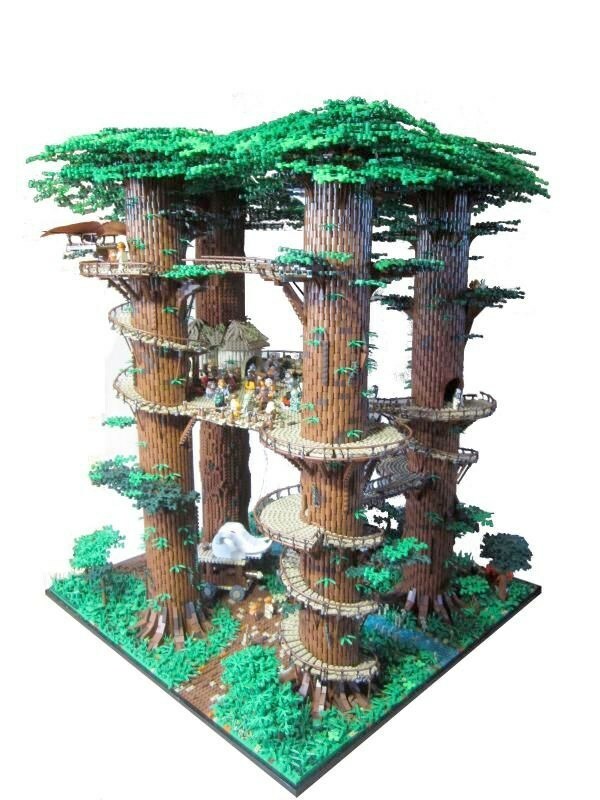 This MOC is built on 4 baseplates 48 x 48, and its trees stand about 97 cm high. 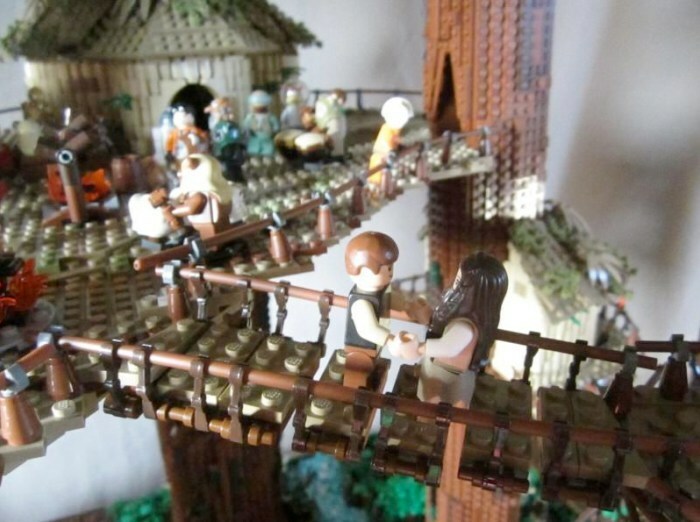 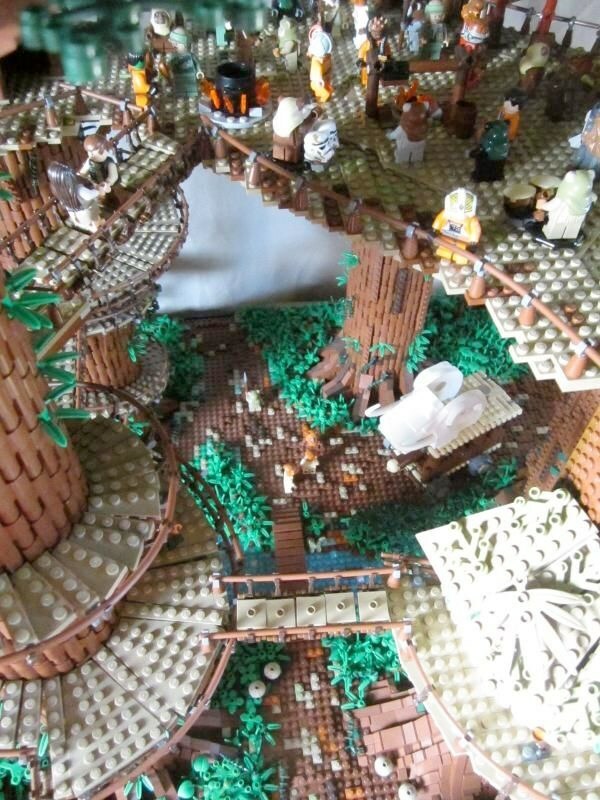 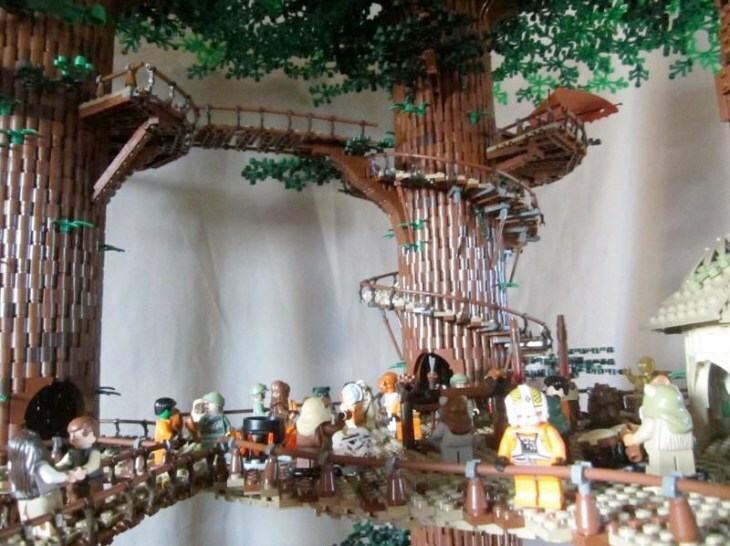 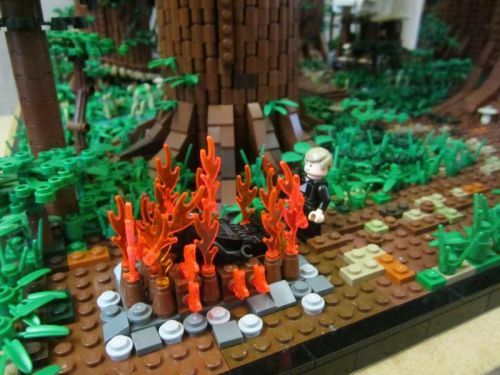 The best part is down on the forest floor, where Luke Skywalker watches over Darth Vader’s funeral pyre.